diseases: The Nobel Prize for Medicine for 2015 was shared by two groups of researchers for their work that stemmed from natural medicines. The Nobel Assembly at Karolinska Institutet awarded the 2015 Nobel Prize in Physiology or Medicine to William C. Campbell and Satoshi Ōmura – and Youyou Tu. If there is any doubt in the efficacy of natural medicines and their ability to treat a myriad of diseases: The Nobel Prize for Medicine for 2015 was shared by two groups of researchers for their work that stemmed from natural medicines. The Nobel Assembly at Karolinska Institutet awarded the 2015 Nobel Prize in Physiology or Medicine to William C. Campbell and Satoshi Ōmura – and Youyou Tu. Dr.s Campbell and Ōmura were awarded the prize for their work on establishing therapies against a variety of roundworm infections. And Dr. Tu was awarded the prize for her work in discovering a treatment for Malaria. We have previously discussed some of the research on malaria and Artemisia annua. Let’s look at each and look at how their discoveries were based upon natural medicines. The combined work of Dr. Campbell and Dr. Ōmura resulted in the new drug, Avermectin. This has been shown to reduce incidence of River Blindness (Onchocerciasis), Lymphatic Filariasis, which causes Elephantiasis (Lymphedema), Scrotal Hydrocele and other parasitic diseases. Dr. Ōmura is a long-time natural medicine researcher and microbiologist from Japan. Ōmura focused on the Streptomyces family of bacteria. These live on rocks and in the soil. They also produce many antibiotics such as Streptomycin. Dr. Ōmura isolated new Streptomyces strains from soil samples and cultured them in the lab. He then narrowed them down to 50, and studied their antibiotic effects against a number of parasites. Dr. Ōmura’s research was continued by Dr. Campbell, a parasite expert from the U.S. He acquired Ōmura’s Streptomyces cultures and investigated their effects on parasitic diseases. He found one of the antiparasitic biochemicals produced by some of the Streptomyces bacteria was lethal against a number of parasites. He then purified the antiparasite agent from the bacteria and the agent was named Avermectin. It was then chemically synthesized in a lab into a compound called Ivermectin. Ivermectin was subsequently tested in humans with infections caused by various parasites, and the medicine effectively killed a number of different parasites and their larvae. For example, a 2013 study from Brazil treatd 92 patients with hookworm infections with a single dose of ivermectin. After four weeks, the total tracks was reduced from 441 to 60, and symptoms increased significantly. After one treatment. Dr. Youyou Tu was awarded the Nobel prize for her research that led to a naturally-derived drug referred to as Artemisinin. The medicine has been found to significantly cut the deaths from Malaria in many regions that suffer from Malaria throughout the world. For decades, chloroquine or quinine were used to treat malaria, but over the years these initially naturally-derived medicines have become increasingly unsuccessful. This is because some Malaria parasites have become resistant to them. Malaria has since been on the rise, over the past few decades. Until Dr. Tu’s discovery. For a number of decades Dr. Youyou Tu worked in China with traditional Chinese herbal medicine and Malaria. Dr. Tu utilized various traditional literatures along with clinical and laboratory research in order to find the right herbal remedy. Eventually she found that an extract from the plant Artemisia annua was successful in treating Malaria. 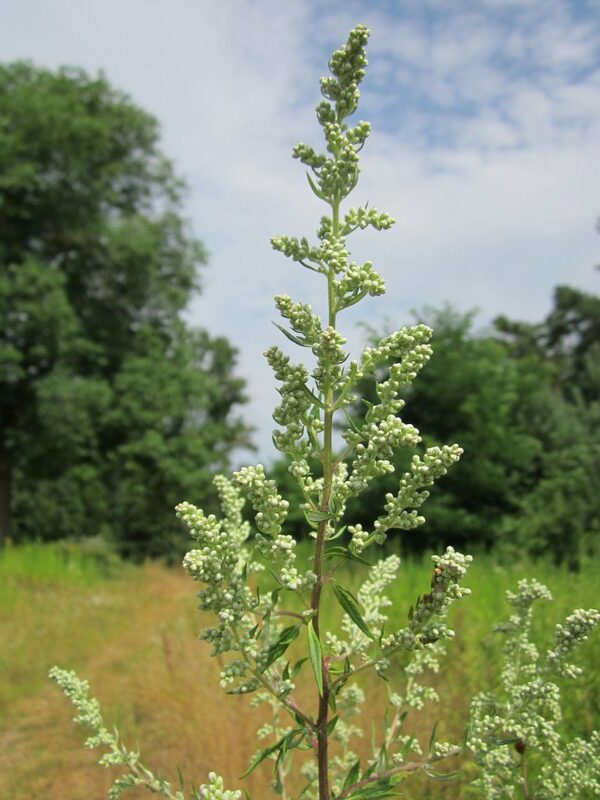 Her laboratory work investigated numerous components of Artemisia annua to find which of the plant’s many compounds were the active constituents. Eventually she found the right one and this was extracted and isolated as Artemisinin. Clinical research was quickly taken to various places where Malaria was rampant with great results. For example, in a study from Cambodia Malaria Control Program and its National Malaria Center studied 106 patients, including 76 children with malaria. They were given the drug based upon Artemisinin – dihydroartemisinin-piperaquine (Artekin). Within 72 hours, every patient was symptom-free. After 28 days, 97 percent of the patients were cured. This is just one of many studies that showed that Artemisinin was an effective treatment for Malaria. Artemisinin and its derivative drugs were very successful in curing Malaria for millions of people over the past couple of decades. But this isn’t the end of the story. Today medical doctors and scientists are finding that Malaria is beginning to become resistant to drugs based upon Artemisinin: Just as some Malaria became resistant to chloroquine or quinine. Why? Because these parasites are not stupid. They have figured out how to get around the toxicity of the isolated antibiotic. Today, people with Malaria are being treated with Artemisinin-based drugs alongside other drugs in an effort to find the right drug to treat the infection. For example, some doctors are treating Malaria patients with either or both artemisinin and chloroquine. Why has Malaria become resistant to the nature-based drug? First, not all Malaria are resistant to Artemisinin-based drugs, just as some can still be treated with quinine. The parasites are like bacteria. Some have learned how to become resistant while others haven’t. But those who have are gradually teaching their buddies – and the rest are learning fast. The bottom line is not only that parasites are smart: So are plants. 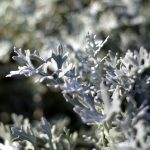 That’s why this particular plant Artemisia annua – produced the compound in the first place – to fight off infections like this. Plants are living organisms and they continue to produce a variety of compounds to counteract resistance. They don’t produce one static compound all the time. They will adjust their chemical formulations as needed. Plants are involved in active warfare with bacteria and parasites – that’s why so many plant medicines help us too. The mistake being repeated here is that this one plant compound has been isolated and thus doctors are teaching the Malaria parasites to become resistant to this compound. A plant produces hundreds of compounds. These work synergistically: They effectively confuse the invader so they don’t figure out the secret weapon. Often the secret weapon is not a single compound anyway – but a combination of compounds. They might have, for example, multiple compounds that produce one-two punches. So instead of applying the whole plant medicine – for example a whole extract of Artemisia annua for example – modern medicine continues to focus on isolating the single bullet – the most active compound. This single-bullet strategy not only makes it easier for us to administer the medicine – it also makes it easier for the parasite to identify the compound and form a resistant to it. This also goes for the full range of antibiotics that bacteria are becoming resistant to. Yes, congratulations to our new Nobel laureates for their hard work and dedication. And congratulations to Mother Nature. Schuster A, Lesshafft H, Reichert F, Talhari S, de Oliveira SG, Ignatius R, Feldmeier H. Hookworm-related cutaneous larva migrans in northern Brazil: resolution of clinical pathology after a single dose of ivermectin. Clin Infect Dis. 2013 Oct;57(8):1155-7. doi: 10.1093/cid/cit440. Toure OA, Assi SB, N’Guessan TL, Adji GE, Ako AB, Brou MJ, Ehouman MF, Gnamien LA, Coulibaly MA, Coulibaly B, Beourou S, Bassinka I, Soumahoro A, Kadjo F, Tano MA. Open-label, randomized, non-inferiority clinical trial of artesunate-amodiaquine versus artemether-lumefantrine fixed-dose combinations in children and adults with uncomplicated falciparum malaria in Côte d’Ivoire. Malar J. 2014 Nov 19;13:439. doi: 10.1186/1475-2875-13-439. Phan GT, de Vries PJ, Tran BQ, Le HQ, Nguyen NV, Nguyen TV, Heisterkamp SH, Kager PA. Artemisinin or chloroquine for blood stage Plasmodium vivax malaria in Vietnam. Trop Med Int Health. 2002 Oct;7(10):858-64. Denis MB, Davis TM, Hewitt S, Incardona S, Nimol K, Fandeur T, Poravuth Y, Lim C, Socheat D. Efficacy and safety of dihydroartemisinin-piperaquine (Artekin) in Cambodian children and adults with uncomplicated falciparum malaria. Clin Infect Dis. 2002 Dec 15;35(12):1469-76. Ashley EA, Dhorda M, Fairhurst RM, Amaratunga C, Lim P, Suon S, Sreng S, Anderson JM, Mao S, Sam B, Sopha C, Chuor CM, Nguon C, Sovannaroth S, Pukrittayakamee S, Jittamala P, Chotivanich K, Chutasmit K, Suchatsoonthorn C, Runcharoen R, Hien TT, Thuy-Nhien NT, Thanh NV, Phu NH, Htut Y, Han KT, Aye KH, Mokuolu OA, Olaosebikan RR, Folaranmi OO, Mayxay M, Khanthavong M, Hongvanthong B, Newton PN, Onyamboko MA, Fanello CI, Tshefu AK, Mishra N, Valecha N, Phyo AP, Nosten F, Yi P, Tripura R, Borrmann S, Bashraheil M, Peshu J, Faiz MA, Ghose A, Hossain MA, Samad R, Rahman MR, Hasan MM, Islam A, Miotto O, Amato R, MacInnis B, Stalker J, Kwiatkowski DP, Bozdech Z, Jeeyapant A, Cheah PY, Sakulthaew T, Chalk J, Intharabut B, Silamut K, Lee SJ, Vihokhern B, Kunasol C, Imwong M, Tarning J, Taylor WJ, Yeung S, Woodrow CJ, Flegg JA, Das D, Smith J, Venkatesan M, Plowe CV, Stepniewska K, Guerin PJ, Dondorp AM, Day NP, White NJ; Tracking Resistance to Artemisinin Collaboration (TRAC). Spread of artemisinin resistance in Plasmodium falciparum malaria. N Engl J Med. 2014 Jul 31;371(5):411-23. doi: 10.1056/NEJMoa1314981. Erratum in: N Engl J Med. 2014 Aug 21;371(8):786.